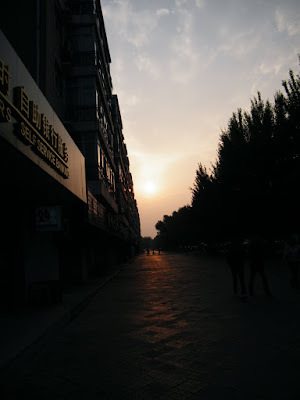 be21zh.org, bring China abreast 21 century二一新纪: life in cheese of golden Autumn. dreamed of Japanese, &progress of red army.^last night later join canteen, where the larger family of the owner there busy. the sister, most beautiful among them, falsely stood against her brother-in-law, let me see the needed decision to bypass them. in dorm challenges from neighbor gays called forth my review of my love. see clearer the bliss upon the Son. in dawn dreamed of progress of red army in modern China history, when&where they took authority from local tycoon, &leading common Chinese in great sufferings into larger social political trend like communism. saw the universal way of winning attitude to provide improved service to the society to edge out the old ones. breakfast as God allows. its a 3rd brilliant day in this golden Autumn. God, bring me my beloved girls! a day on horizon of my second life with new wives.^today is a rare sunny day in recent days. i claimed 2 extra blogs from blogger.com of google for China Democracy, their id is Chinadc&chinadem, near noon break finished setting up widgets on page, analytics from google, adsense for feeds, etc, &published them within my shared google reader feeds bundle, zhonepub. i also sorted my reader, ditched outdated/dead rsses. corporate Internet once broke in afternoon. i read quite some feeds i subscribed after Internet resumed. sins in office again challenged me most daytime, &gathered momentum in afternoon. i left office ten minutes before work time over to avoid dirt, esp. from the monitor who likely prepared to linger after work to profane. roamed outside speedily, for baby tonight came over to have music lesson, just minutes walk from his school to my dorm. i bought him some new color ball pens, for one of them i bought him days ago, a pink one, don't spell ink smoothly. one dorm mate loaned me ￥20 for the act&its second time he did. after met baby&his mom, who insisted not to haunt KFC as i suggested, i found she forgot to fetch my missing clothing, &arranged me to fetch tomorrow on my own. when i sent them into bus, a cop previously worked in QRRS' police station followed them, narrowly passed by me. its second time the cop showily did. its a day for my second wife, her message of arriving inspired me so much, i bought a parcel of sausage to celebrate the moment. 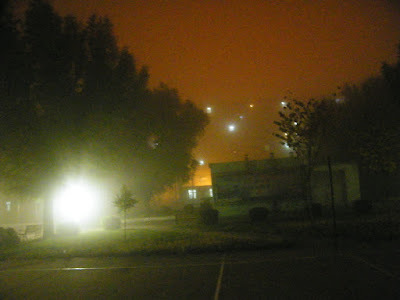 its first night this winter the dorm heated by steam tunnel, warmth from Heaven reaches me, surely! corporate Internet down for hours. connected but lagging speed. tried to contact director so i first response is office hooligans broke the equipment again, but later found directly connected to router also lagging. dozed then, now surfing with a low speed.